Grants in support of Education have been awarded by the Foundation since l996. It is the Foundation’s goals to support innovative and unique programs and projects in education that cannot be funded by way of the school budgets. Additionally, because the Foundation participates in the State’s Educational Improvement Tax Credit Program, we stress the funding of state approved programs that focus on upgrades in technology and the integration of technology and instruction. Educational Improvement Tax Credit Program: PA Act 4 of 2001 provides for the establishment of the Educational Improvement Tax Credit (EITC) to be administered by the Department of Community Development. 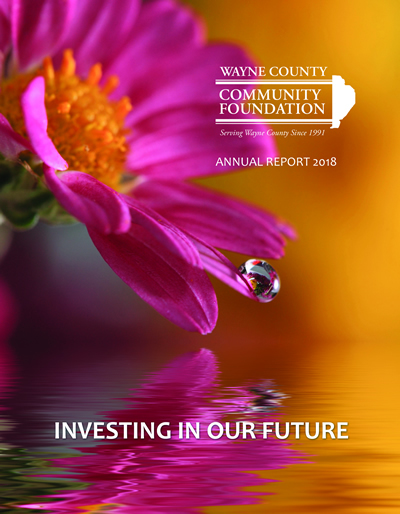 The Act authorizes the award of tax credits to businesses that make a contribution to educational improvement foundations (of which the Wayne County Community Foundation is a participant). These foundations in turn may award scholarships or grants to support innovative educational programs. An innovative program is defined by the act as advanced academic or similar program that is not part of the regular academic program of a public school but that enhances the curriculum or academic program for the school. Our Foundation was approved by the state to participate in the innovative educational program. During the summer and fall each year, approved businesses contact the Foundation to indicate their participation and the amount of tax credit approved. Thereafter, the Foundation contacts the county’s public schools and solicits grant proposals. Awards are made in the late fall. supplements, reconstructs or involves major revision to the curriculum or academic program of the public school. offered separately from the public school curriculum or academic program. offered before or after public school hours, on weekends, as a year-round program and/or as an extension of the public school year. offered as a standards-based program of instruction that operates outside of the length and time requirements of the public school, but which meets the minimum hours or days of instruction required by state law. use of specialized instructional materials, instructors or instruction not provided by a public school. use of internships and other work-based learning opportunities for a student that supplements the curriculum or academic program of a student and provides a student with the opportunity to apply the knowledge and skills learned in the academic program. offers instruction or programming that provides credits/advanced placement at a two-year or four-year college or university authorized by the Department of Education. Innovative Teaching Program Grant: Established in 1998, this grant encourages individual teachers in the county to seek funding for unique teaching activities. Smaller in scope than the EITC, these grants cannot exceed $500, typically funding small, incubator type teaching projects. In 2008 the Foundation awarded 9 grants from 41 applicants. Like the EITC program, these grants are awarded in the fall. Applications are forwarded to all participating Wayne County public and private schools and recommendations are made to the Foundation’s Board by a committee of three board members.